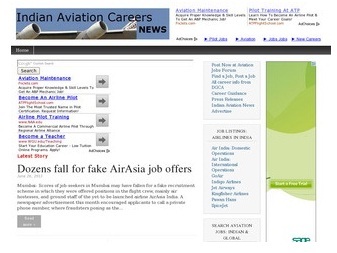 Started in 2006, Indian Aviation News Net today is the most sought after website on aviation scenario in India. 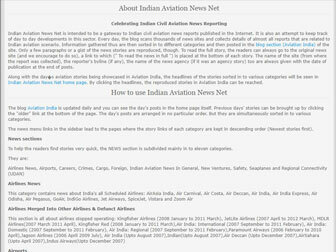 The portal leads to almost all the news reports on Indian aviation published during the past 24 hrs and the site's archives has a huge collection of more than 77K news reports published during the past 12 years, all arranged category wise in chronological order. The site is well known among aviation enthusiasts all over the world. Though more than 80 percent of the visitors are from Asia, the site is regularly visited by thousands from Europe, Americas, Australia and Africa. In Asia, India of course contributes majority of visitors. Delhi stands first in India by sending 19 percent of the site's visitors. 17 percent of readers are from Maharashtra and Karnataka comes third by contributing 11 percent of the visitors. As for other countries, we have readers in almost all the countries. UAE, USA and UK have biggest share after India. 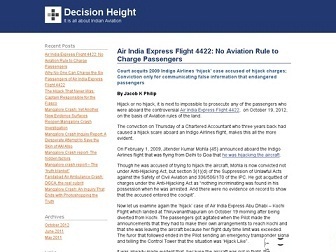 The readers of the site are mostly decision makers of aviation & aerospace organizations, aviation professionals, students, people with aviation regulatory agencies, media personnel etc. The site over the years has become a must-visit-site for pilots, cabin crew, aviation students , teachers and aviation school owners. Aircraft manufacturers, ,airport operators and airlines also follow the site religiously to have a better insight of the fast growing aviation market of India. 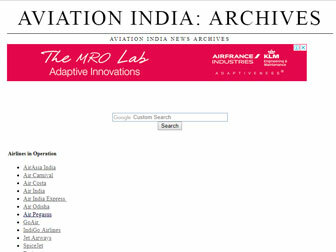 So, to reach people interested in Indian Aviation, the obvious choice for any advertiser is Indian Aviation News Net. With the percentage of returning visitors pegged at an impressive 60+, the site(s) also lead the advertisers to thousands of die hard aviation enthusiasts with strong Indian interests.